This question was addressed by the UK Supreme Court in Cavendish Square Holdings BV v Makdessi; ParkingEye Ltd v Beavis ( UKSC 67) and raises profound questions of the role of judges in policing contractual agreements and the “morality” of contract law. While much has been written in the UK about the Cavendish decision, volume 1 of the 2017 European Review of Private Law offers a comparative perspective. This is important because the Supreme Court in Cavendish engaged in comparative law itself in deciding whether the time has come to abolish the rule against penalty clauses. Cavendish is also a controversial decision – it limits the powers of the UK courts to intervene to make penalty clauses unenforceable – and so comparative study is particularly useful for its critics, enabling them to consider how other legal systems deal with this question. Cavendish also examines the application of the Unfair Terms Directive 1993/13/EEC in UK law and again consideration of how other EU Member States would have applied the Directive gives a clearer idea whether the treatment in the Supreme Court was harsh or simply an accurate interpretation of the Directive as transposed into UK law by the Unfair Terms in Consumers Contracts Regulations 1999. The issues in Cavendish/Beavis were as follows. In Cavendish, a businessman had sought to establish that two clauses in a contract for sale of his business to the claimants were unenforceable penalty clauses: namely, if he did compete with his old business within a certain period of time, the claimant would (i) be entitled to withhold the final two instalments of the purchase price (clause 5.1) and (ii) would acquire an option to buy the defendant’s remaining shares at a price which disregarded goodwill (clause 5.6). 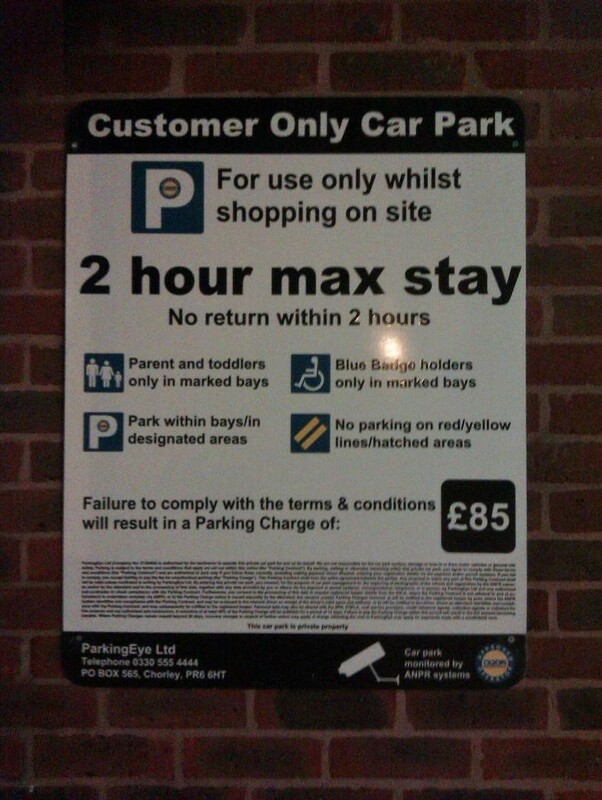 In Beavis, a consumer challenged the validity of a charge of £85 for overstaying the 2 hour limit for free parking in a car park managed by ParkingEye Ltd. In both cases, the parties failed in their claim. Importantly, the UK Supreme Court took the opportunity to review the extent to which the courts should be able to intervene to protect contracting parties from clauses they claim to be penal. In rejecting the arguments that the court’s jurisdiction to render penalty clauses unenforceable should be abolished or limited to non-commercial cases, the UK Supreme Court sought to establish a more “realistic” approach. This would involve examining the clauses in terms of the general interest being protected and whether, in this light, the clause could be regarded as exorbitant or unconscionable. Only if the clause imposed a detriment on the contract-breaker out of all proportion to any legitimate interest of the innocent party in the enforcement of the primary obligation would it be unenforceable. In Cavendish, the purchasers were found to have a very substantial and legitimate interest in protecting the value of the company’s goodwill and, in view of this legitimate interest, the clauses could not be considered exorbitant or unconscionable. Equally (and more controversially), in Beavis, ParkingEye were found to have a legitimate interest according to their business model in charging overstaying motorists and the charge could not be considered extravagant nor unconscionable nor out of proportion to its interests. 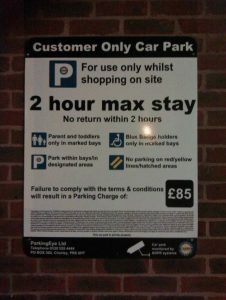 As might be imagined, these results have been criticised as unduly harsh, notably in the consumer context of Beavis (his claim under the Unfair Terms in Consumer Contracts Regulations 1999 also failed) where charging £85 for overstaying the 2 hour time limit, even by a minute, was not regarded as extravagant by the court. Is the Supreme Court out of sync with the rest of Europe and taking an unduly commercial approach to all types of contracts? Are UK judges, as has been alleged by some critics, out of touch with the needs of the ordinary consumer? Is the reluctance to intervene to make penalty clauses unenforceable a “common law trait” or one seen in jurisdictions across Europe? In (2017) 25 ERPL 169-271 (to which I contributed the report for England and Wales), the Cavendish approach is compared with that of Belgium, France, Germany, Italy, the Netherlands, Poland and Sweden. Experts from eight jurisdictions examine how the courts would deal with the facts of Cavendish/Beavis with a comparative introduction and conclusion. What is interesting in the comparative study is the diversity of approaches it identifies within European private law. As Schelhaas states in the introduction and conclusion, while most European legal systems agree that some form of protection against unfair agreed payment clauses is needed, they differ in how they should be restricted. We can identify that for most European systems, the preference is not simply to regard the clause as valid or unenforceable, but to accept the validity of the clause unless its application causes unacceptable consequences. If so, then the unfair agreed payment clause may be reduced – if it is evident that equity so requires (Dutch law), if it is regarded as unconscionable (Swedish law), if the sums specified are disproportionately high, unreasonably high or manifestly excessive (Polish law, German law, Italian law) or the amount may be moderated or increased if manifestly excessive or derisory (French law). The papers in this volume also indicate internal tensions between the treatment of penalty clauses within the civil codes and EU regulation of unfair terms (where the response is dictated by the 1993 Directive and renders the clause void, not subject to modification). Questions such as when the enforceability of the clause is assessed, whether such regulation extends to price adjustment clauses, whether intervention is confined to breach of contract, and notably whether £85 (or 100€) would be regarded as an unacceptable cost to consumers, together with broader issues of judicial discretion, good faith and legal certainty, are discussed in the ten papers which make up this volume. For those interested in penalty clauses or simply broader issues of contract law policy, I would argue that this volume shows the utility of a comparative law approach. It forces the reader to examine alternative means of regulation and the tension between the policies of freedom of contract and that of judicial intervention to protect contracting parties. Bearing in mind the critical reception of Cavendish in the United Kingdom, it is hoped that this volume can enrich the debate – surely an important goal for comparative law and indeed contract lawyers generally! * See P Giliker, ‘Case Note England and Wales, UKSC 4 November 2015, Cavendish Square Holdings BV v. Makdessi; ParkingEye Ltd v. Beavis‘ (2017) 25(1) European Review of Private Law 173–180, as well as the rest of the contributions to this volume of ERPL, which is available at http://www.kluwerlawonline.com/toc.php?pubcode=ERPL.